Well done kelly, your embriodery is impressive! Pretty materials. You could aadd a satin ribbon tied at the waistband to the dress which many ladies did to alter the appearance of a dress slightly. I think they lightly tacked on the ribbon so that it was changeable. Well done Kelly. You amaze me… you make it look so simple! Thanks! I must admit that this dress was a little simpler than the last one! It took less than half the time to complete too! Can’t wait to see the Ball Gown! you’re doing a great job. I’ve been skimming your blog for a few days. I found it while looking for some tips on making a poke bonnet. 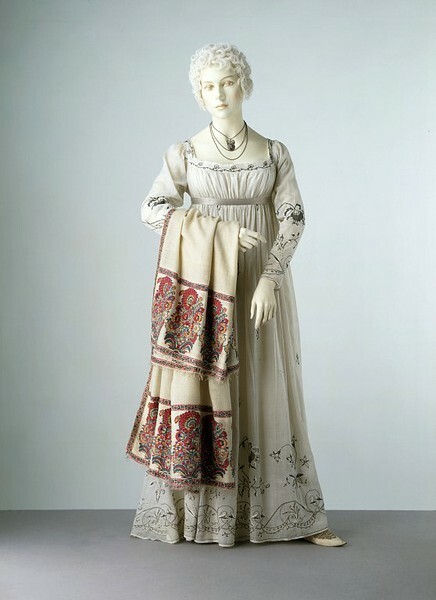 I’m not a huge fan of the Regency era (I like the victorian era myself) but it is possible I could make a Regency dress one day. Do you make Victorian dress as well or are you strictly Regency? I also like tea and tea cups. I mostly drink coffee these days because tea drinking is more time consuming. You pour a gallon of coffee in a travel mug and you are set for hours. Tea must be consumed from a dainty little cup that only holds three sips of tea. I look forward to stopping by here again and seeing what you are up to…. I don’t really like the Regency era either. I think it is because the dresses really arent that complicated or fancy! That is one reason why I have had to make so many costumes for the Jane Austen Festival, because I have never made any before! 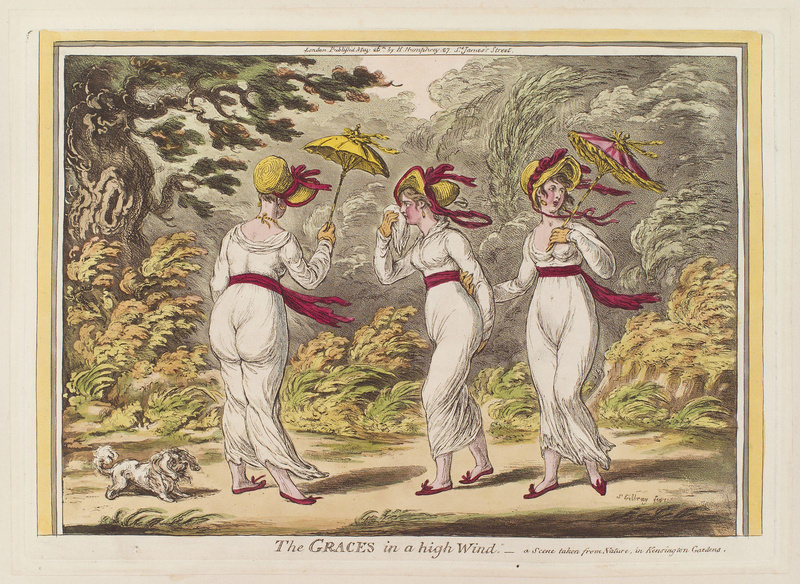 My favourite era is the mid-eighteenth century, with big hips and big wigs! I also love the mens frock coats and breeches from this era too. I have made several costumes from this era. I like teacups, but – like you – I drink coffee! Well, at least, coffee in the morning and tea at night! And usually my tea is just the tea-bag sort in a mug! Thanks for stopping by! I love the look of your blog, and will have to spend some time looking through it! This is really usefull. I’ve been thinking about using this pattern but I was worried being an inexperienced drafter at what pitfalls there might be. i’ve used the burda pattern before which creates a ruched effect like in this dress and it looked ok so wanted to go more authentic for my next try. The measurements are really helpful. I am shorter that the original wearer it seems and with a smaller underbust. 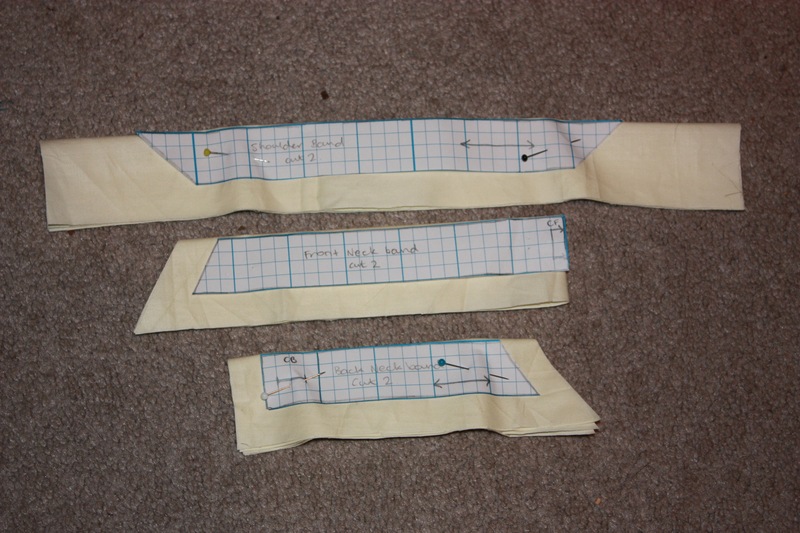 I found it a very useful process to compare my measurements to a pattern’s measurements. It seemed the first step to making it fit properly! 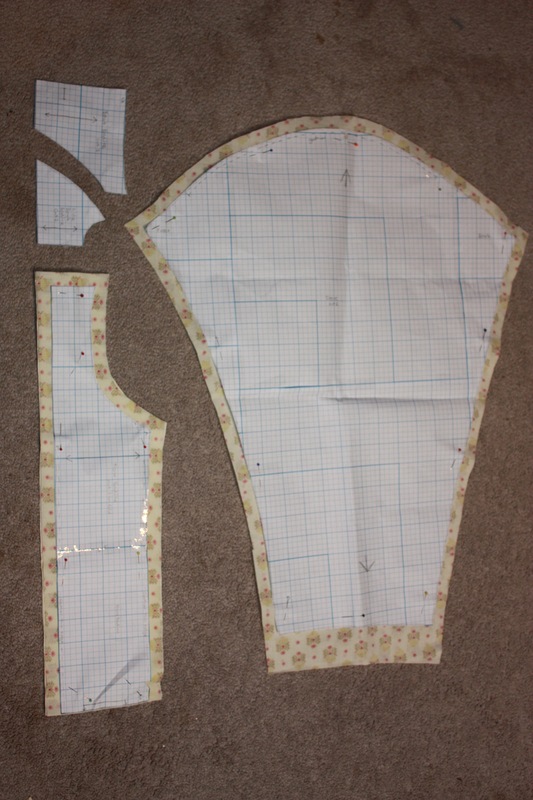 This pattern I found fairly easy actually, because the bodice does not need much adjusting if you are bigger or smaller. 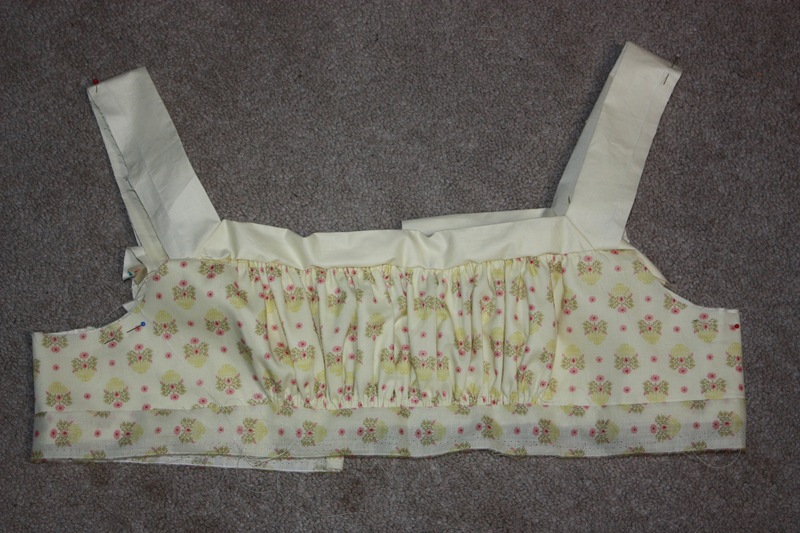 It is really only the neckline and the waistband, with the ruches either pulled tighter or loser. The back can be adjusted but it just didn’t feel as complicated. As long as you have someone to help you fit it to yourself properly (or if you have a good dressmakers form)! I may finally get round to this and make the dress. My skills have improved enought that I think I would be capeable. 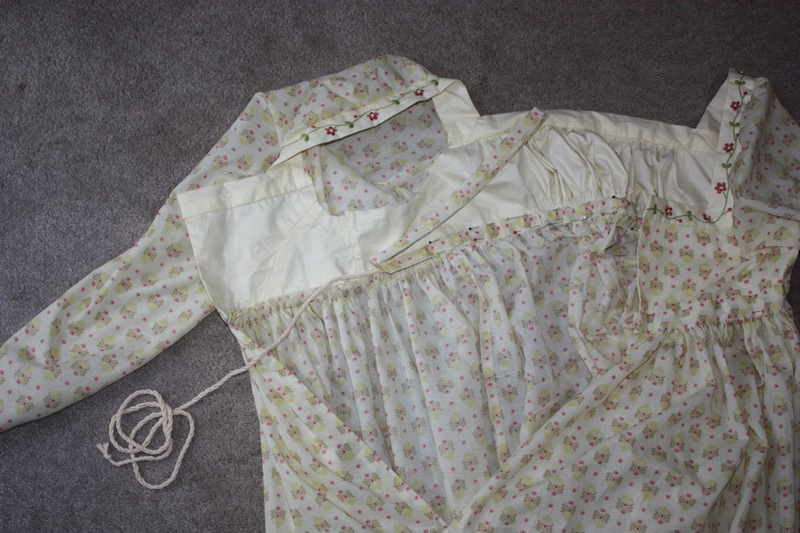 I had a thought that instead of ruching the front I could smock it instead. And make it sleeveless so i could wear a habit shirt underneath/contrasting sleeves. 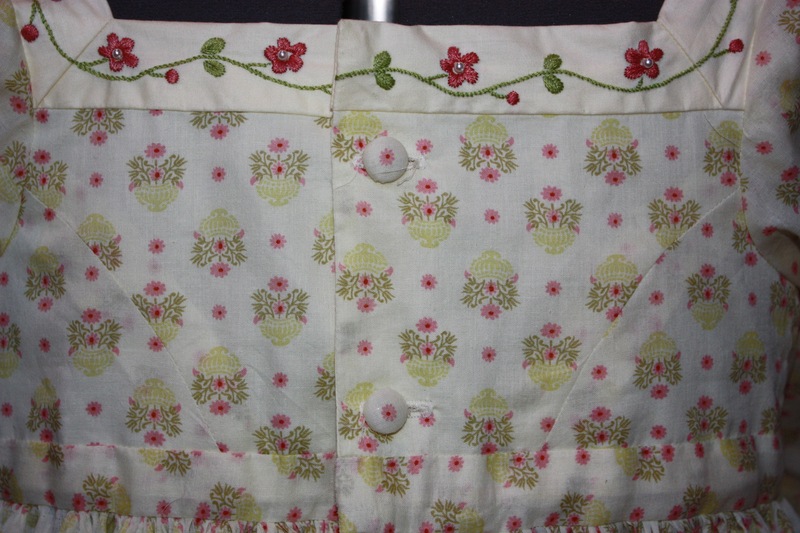 Smocking would look lovely! And the sleeveless idea is also an easy change to make, I think. 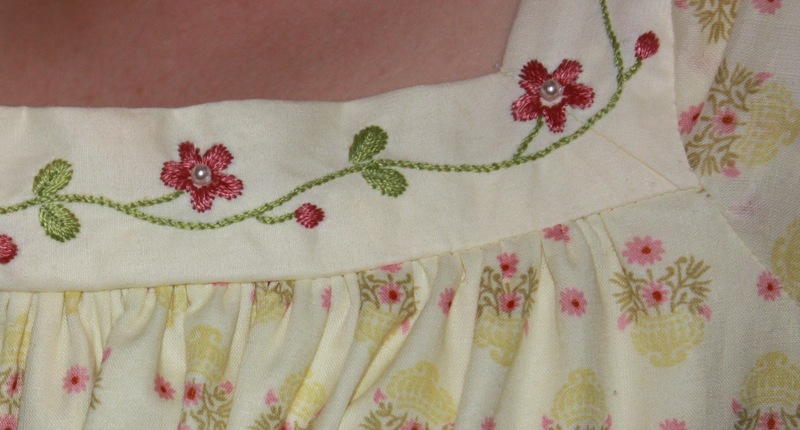 The thing I loved about this dress is that the construction was quite simple. 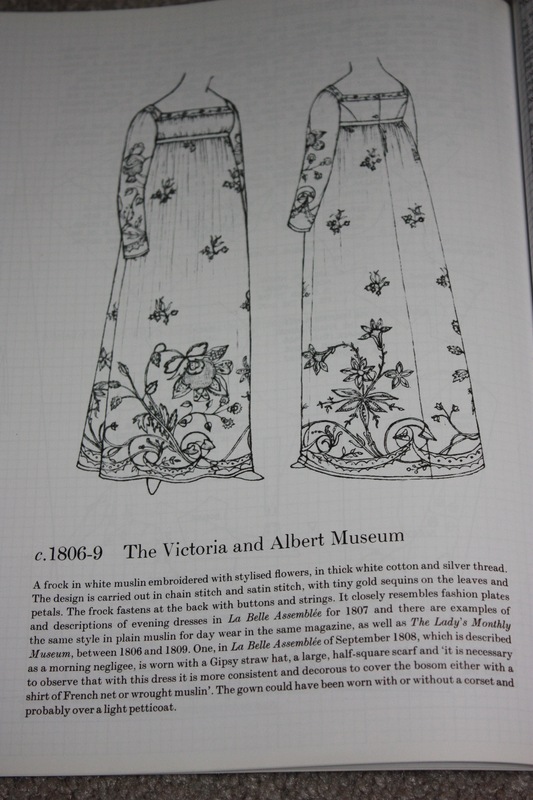 Some historical dresses seem SO complicated and it completely does my head in!